POCATELLO — Watershed Guardians’ eighth annual BeaverCount training will begin at 10 a.m. Saturday at the Mink Creek Nordic Center off the Scout Mountain Road. 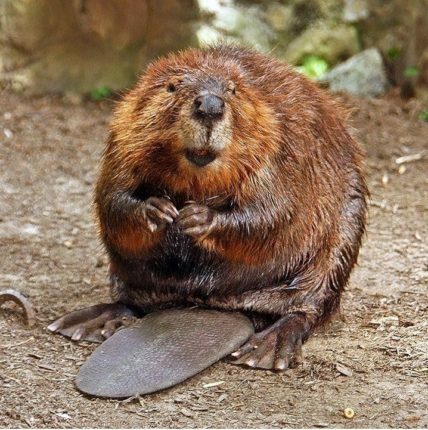 The BeaverCount will be held Feb. 2, meeting at the same location. BeaverCount is a free, snowshoeing and cross-country skiing event where participants trek into our watershed to assess the current state of the beaver populations. On Jan. 26, volunteers will meet at the Mink Creek Nordic Center and learn about wilderness first response, physical assessment and warm-ups, navigation and beaver habitat. From the Nordic Center, you will snowshoe on approximately one mile of easy-to-moderate trail and see the benefits of having beaver in our watersheds. Some useful snowshoe techniques you’ll learn include side-hilling, toe kick and water crossing. When you return, you can share your stories with us and enjoy hot soup and snacks to warm up and select their zones for the upcoming count. You’ll need sturdy boots, warm-layered clothing, day pack, water bottles, gloves, sunglasses and a hat. Teams are encouraged to register. Then, the following weekend, those trained to spot beaver activity, winter preparedness, wildlife conservation and any number of other skills related to snowshoeing, will hike or ski into streams that are part of our watershed. This year’s locations will include Mink and Toponce basins. Opportunities exists for those of all ages. If you were trained previously but have not trained in the last five years, you’re encouraged to re-attend the training. To register, visit www.watershedguardians.org/beavercount-viii or www.facebook.com/watershed guardians or call Mike at 208-232-0825.